You make decisions every day that affect your life in different ways. Some decisions, such as which movie to rent or where to go on your morning jog, have a small impact, while others, such as which job offer to accept or whether to get married or not, have life-changing implications. Look back on a past choice that falls into the life-changing category, and use the experience as a reflective journal prompt. • When was this? How old were you? • What was the context in which you were making this decision? What other factors were important? • Why did the decision seem significant at the time? Do you still think it’s important for the same reasons? • How did this decision change your life for the better? • How did it create challenges or heartache? • Why would you stand by your decision, or why would you choose to go in a different direction? • What do you think would have happened if you had taken another path? What consequences do you think would have resulted from that option? 3. Sum up what this past experience taught you in a short paragraph. Have you used these lessons to make other big decisions? Did you create a “what not to do” script for yourself for future situations? Tell your personal journal all about it. What is the most difficult decision you’ve ever had to make? Share your experience in the comments. 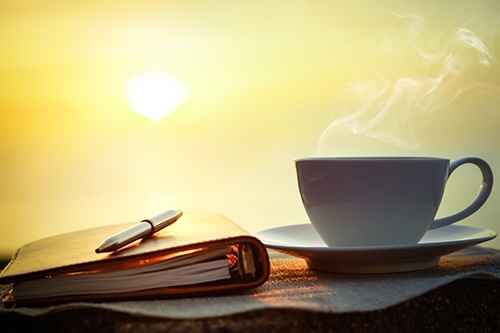 If you want to learn how journaling can help you tackle life's challenges and make difficult decisions, please download the free eBook, The Journaling Guide to Manage The Stress and Strains of Life. Getting to know your true, authentic self is a lifelong journey. 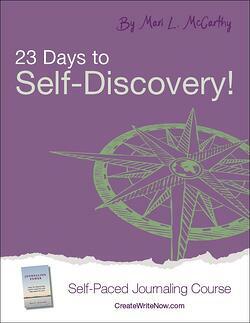 Our 23 Days to Self-Discovery self-paced journaling course shows you how to use your journal to know and understand yourself better.